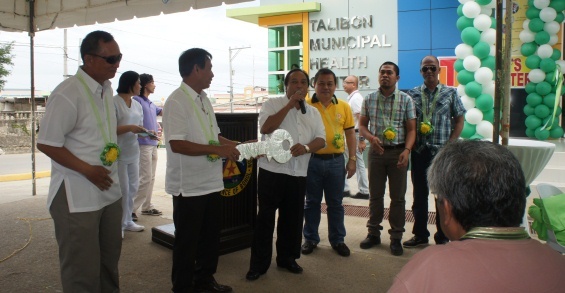 Finally, on February 12, 2013, at exactly 11:13 A.M., and after a series of postponement, the Blessing and Turnover of the New Talibon Health Center went under way immediately upon the arrival of the Provincial Governor, Edgar M. Chatto and staff. The day’s affair is not solely the blessing of the Health Center, but is a 4-n-1 affair wherein also the Salintubig Project of the DOH will be ceremonially blessed as well as the new Municipal Road Grader and the Storm Sewer & Pathway beside the Center which stretches down towards the pier area. After a short prayer, the cutting of ribbon was enacted and participated in by the Governor, Mayor Auxtero, Vice-Mayor Aurestila, Dr. Francisco Ngoboc and DILG guests, namely: Provincial Director Ma. 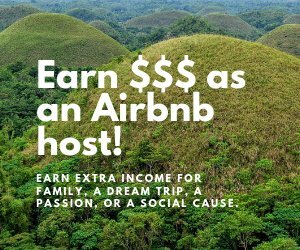 Loisella E. Lucino and Regional Director Ananias M. Villacorta. The blessing followed immediately after, starting with the Health Center, the ceremonial blessing of the 3 Salintubig Projects (which were actually in San Agustin, San Roque and San Carlos), the blessing of the grader and last, but not the least, the blessing of the Storm Sewer & Pathway. The blessing was done by Fr. Adonis Madanguit. Then a short program ensued; opened with the singing of the National Anthem and the Awit sa Bohol accompanied by the Municipal Band followed by the Welcome Message of Mayor Restituto B. Auxtero. Mayor Auxtero thanked the Governor for attending the blessing in spite of a very hectic schedule and lauded him for his accomplishments. He explained to the populace present that Talibon has a lot to thank the Governor for; one being the lot where the Health Center stands which is a provincial lot but was given back by the Province of Bohol to Talibon. Without the lot, the now very imposing Health Center would never have been possible. 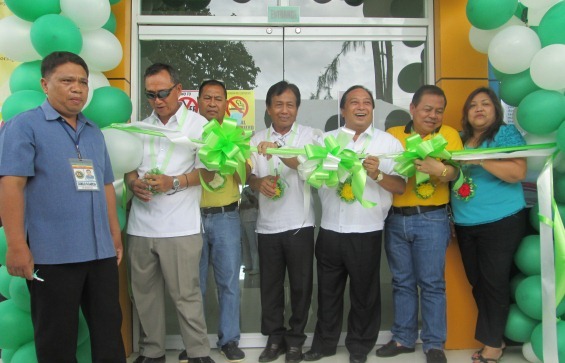 The Mayor announced proudly that the P12M Health Center is 100% completed and the affair is not only for its blessing but includes the blessing of 3 other projects, namely: the P10.3M+ Salintubig projects of DOH situated at 3 barangays (San Agustin, San Roque and San Carlos), the P4M Municipal Road Grader and the P.9M Storm Sewer & Pathway. The turn-over of the Ceremonial Key then followed starting from the Contractor, Engr. Eddie Daniel Angas, to the Reg. Director of DOH represented by Engr. Arnel Priscilas then to Reg. Director Ananias M. Villacorta of DILG whose role was to coordinate the proper implementation of the funds from DOH. The key was then handed to Governor Chatto who reminded all Talibongnons that President Pnoy is behind the Salintubig and the Health Center Project thru DOH and that he should not be forgotten. He lauded the DILG Director for being an efficient and a much approachable man; a man easy to work with – much like an elder brother. He congratulated the Mayor on this project – a major accomplishment for Talibon; and then handed the key to him. The Mayor is very proud and happy to receive the ceremonial key and lifted it for all to see; thanking the Governor for his support, DOH for the funding and the Contractor for a job well done. He then turned over the key to Dr. Francisco Ngoboc. 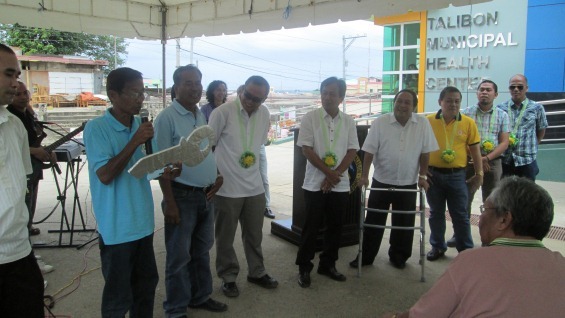 The keys were then handed down to the three (3) barangay captains as recipients of the Salintubig Project. 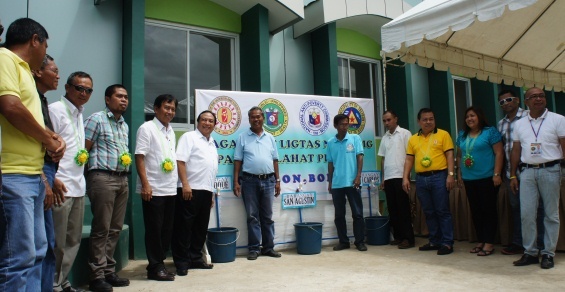 Although not part of the Health Center Project, the Salintubig recipient barangays were made part of the whole ceremony since the DOH was involved in both projects. During the ceremonial passing of the key, Governor Chatto took the chance, got the mic and again congratulated the Mayor for 4 big accomplishments and that because of unity of purpose of the Mayor and the Sangguniang Bayan, accomplishments have mushroomed over Talibon. He also lauded the Mayor for being consistent in good governance and for transparency in all activities which helped pushed the Province to gain a national award as the Best Governed Province. He announced to the public, that, because of good governance and transparency, the Governor did not hesitate and chose Talibon as a recipient of another project funding. In fact, the Administrator, Mr. Pio E. Sayson, is in Ilo-ilo to represent the Mayor and is attending a seminar to this effect which involves farm to market road development. DOH also promised another P2M worth of project. In his parting words, the Governor promised that the Province of Bohol will continue to be Talibon’s partner in progress. The program having started late, lunch was served past 12:00 noon already after Vice-Mayor Marcos Aurestila had given his Closing Remarks. In behalf of the Sangguniang Bayan Members, the Mayor and all Talibongnons, he thanked the Governor and the other guests for their presence. Emcees Jet Boyles and Ariane Madlangbayan then called it a day and invited the guests to partake lunch inside the Health Center. A feast was prepared outside the Health Center for other guests and the LGU employees. While eating, the Municipal Band serenaded those present with love and folk songs. 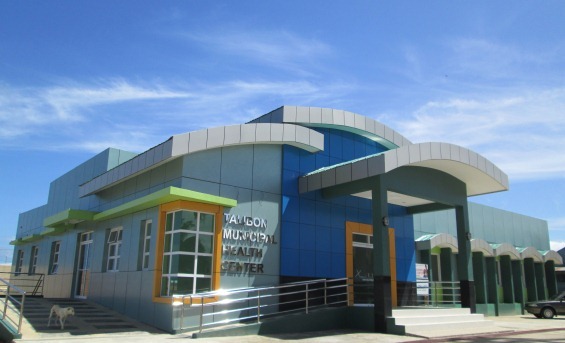 Now, the new Municipal Health Center is not only a beautiful landmark but is in full operation and seeks to serve all Talibongnons in matters of health and well-being. Congratulations!! !